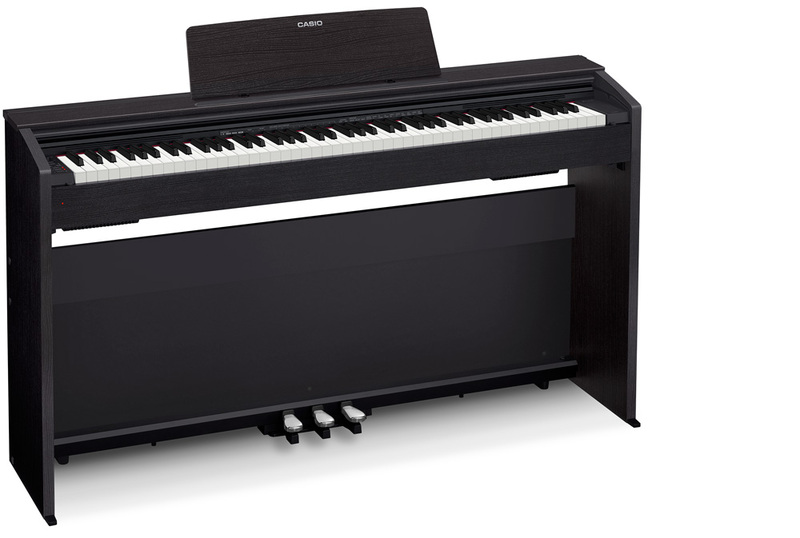 Casio just unveiled three new digital pianos at this year’s summer NAMM show in Nashville Tennessee. There is a new addition to the Celviano range (the AP-270), and two new Privia models (the PX-770 and PX-870). The main difference between the Celviano (AP) and Privia (PX) ranges is the cabinet. 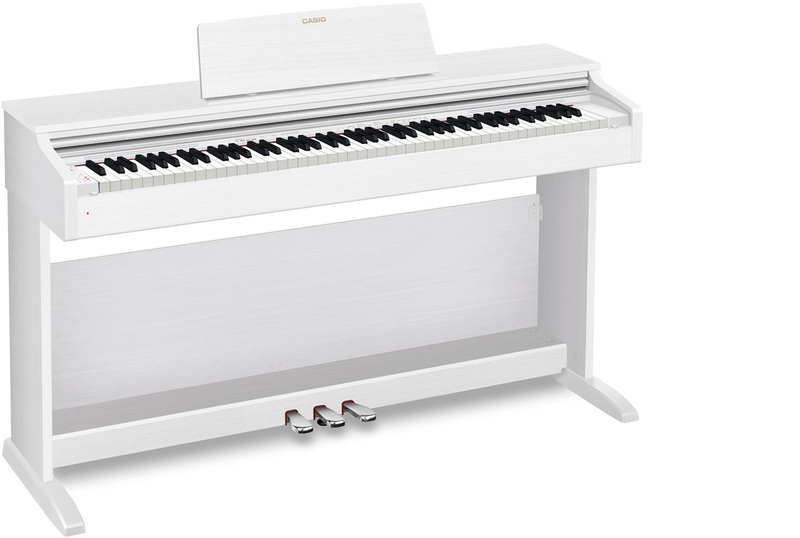 Casio design the Celviano instruments for home use, and supply these pianos with a matching bench. All three of the new models feature Casio’s redesigned “Tri-Sensor Hammer Action” 88 note keyboard. 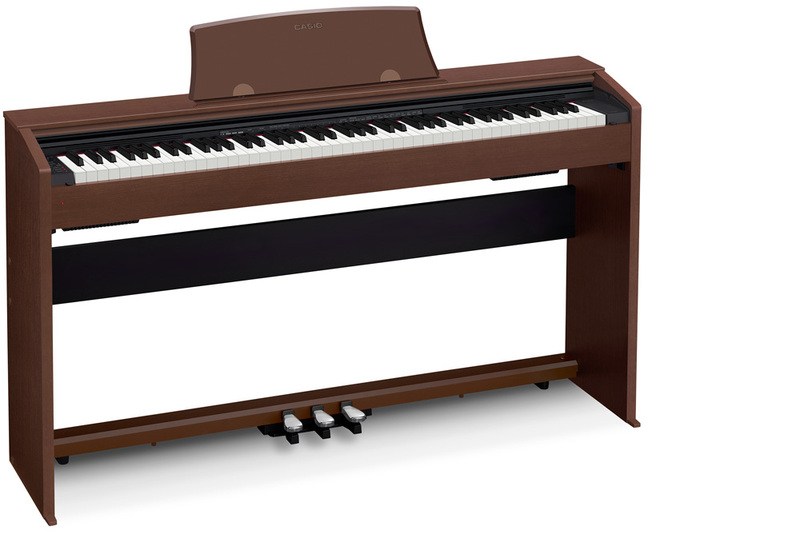 The hammer action is weighted and scaled to give a true piano feel, and this is further enhanced by the simulated ebony and ivory texture of the keys. Casio have moved the controls to the left hand side panel, and restyled the cabinets. The AP-270 offers both European and American concert grands, including damper resonance, along with 22 additional sounds, with 128 note polyphony. The new Privia models feature an improved Stereo Grand Piano tone, again with damper resonance*, and 19 additional sounds. The PR-770 provides 128 note polyphony, and the PR-870 256 note polyphony. They also feature a new sound projection system and USB audio recording. *Damper resonance occurs when the sustain pedal is used. This simulates the opening up of all the strings to sympathetically resonate with the notes being played. All three models offer Concert Play with ten songs, three pedals, USB MIDI and two track recording. I will provide more detailed information on these instruments here shortly. They become widely available in September.